The December 2017 shipments versus the December 2016 shipments on an in-shell equivalent were very similar. 67, 363 In-shell tons versus 67, 701 last year. 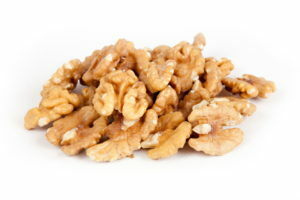 The current receipts for the Walnut crop are at 614,979 tons. The crop will be slightly higher than what the market had been expecting and lower than the Crop Estimate of 650,000 tons, and significantly less than last year’s 680,000 tons. Many markets are receiving both their in-shell and kernel loads shipped out in October/November. The quality of the crop continues to impress with great colour and High Yields. The quality has taken some people by surprise due to all of the high heat days we had this summer. Many industry experts state this is the best quality California has had in many years. Turkey has been active the past few weeks since the import taxes were reduced from over 40% to 15%. All major Turkish buyers have been active with hundreds of loads being purchased in the past few weeks. The Chinese crop is selling at cheaper prices than the California crop at this time resulting in some market rot claims in the market. We will have to watch whether China will come back in to buy for this year’s Walnut crop. The jury is out on India right now coming back in to buy in any real volume. 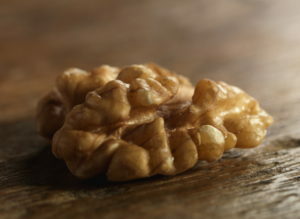 Time will tell , but there is some industry experts that believe India will not come back to buy in any significant volume for the rest of the Walnut Crop Year and they will switch to purchase Chilean walnuts in the next two months. There are numerous economic challenges and market dynamics impacting various markets during the beginning of 2018. We will continue to keep up updated on any market changes.